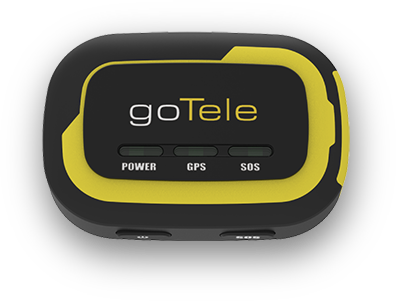 goTele is a intelligent device that pairs with your phone and lets you text or share your location to each others even when you don't have phone service. 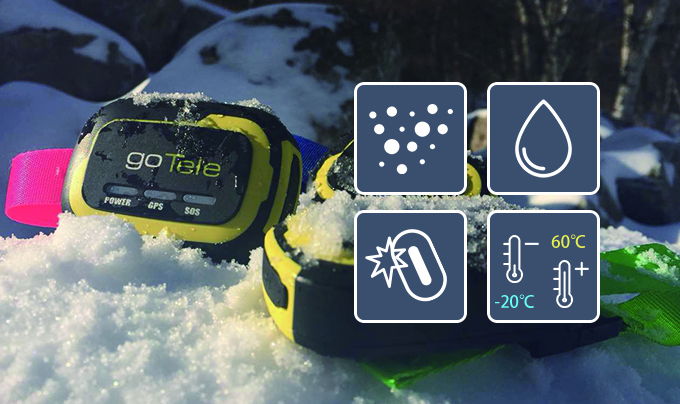 All thoughtful functions of goTele are deliberately designed for the easiest and most convenient operation for your outdoor adventures, and we will introduce the main features for you as follows. goTele app enables you to view and compare real-time locations and trajectories of all 30 teammates directly in the same map without sending requests to each other. Whether you’re watching the personalized avatar icon of your friends in the map during your trip or reviewing the saved trajectories record after trip, you’ll feel goTele rather interesting, and it can really bring more fun and happy memory for your trip. One SOS button is specifically designed on goTele device to enable its owner in trouble to send out SOS signals and real-time location to your teammates in case of emergencies (e.g. smartphone lost or with no power). The Geo-Fence function lets you monitor and protect your loved ones by simply setting a safety distance in the app (100, 200, 300, 500, 1000, 2000 and 3000 meters). When the goTele device is carried by your kids or pets, the app will alert you once they exceed the safety distance. goTele provides the free using and downloading of the top 5 common high-definition off-line maps, which includes Google Satellite, Google Map, Google Relief, Open Cycle and Open Street. You can send messages, emojis, and real-time locations to your group members even when your smartphone is out of service. It makes sure that each group member gets connected at any time under any situation. goTele is a high-quality product that is designed with 3 types of protection. (IP67 waterproof, dustproof and shockproof). In addition, goTele can resist extreme weather conditions between -20℃ to 60℃. After a year of outdoor testing and intensive research, we decided to build a cutting-edge GPS module with the highest precision into goTele despite its high cost. goTele effectively tracks your position stably and continuously under any troublesome and emergent situation. It saves on smartphone power consumed by GPS positioning and greatly improves team safety in outdoor adventures, furthermore, the precision is higher than GPS inside the phone.